The increased awareness of cerebral visual impairment in children, combined with improved recognition of its wide ranging manifestations, has led to its recognition as the most common cause of visual impairment in children in the developed world. Yet the subject is in its infancy, with very little published to date. Information on this complex topic has been needed by all disciplines working with disabled children for many years. This ambitious book links the work of authors from many of the major research teams in this field, who have made significant contributions to the literature on the subject of cerebral visual impairment and provide a structured amalgam of the viewpoints of different specialists. 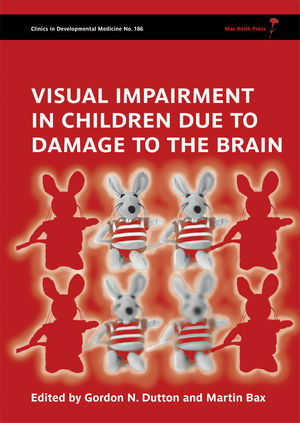 The book contains some very novel concepts, which will be of great practical value to those who care for children with visual impairment due to brain injury. Summaries of the more specialist chapters as well as clear diagrams and a glossary have been provided to increase the book’s accessibility to a broader readership. This is an exciting and important field, to which this book makes a major contribution. Gordon Dutton, Consultant Paediatric Ophthalmologist and Professor of Vision Science, Department of Vision Sciences, Glasgow Caledonian University, Glasgow, UK. Martin Bax, Emeritus Reader in Child Health, Department of Medicine and Therapeutics, Imperial College, London, UK.